On December 23, 2014 following a Solstice New Moon, the demanding task-master Saturn entered the shifting, fiery, and focused sign of Sagittarius. This new transit of Saturn in Sagittarius has resonance with the Solstice, as Saturn will not leave Sagittarius for good until the Capricorn Solstice of 2017. Saturn holds together the structure of our consciousness within our skeletal system on a personal level, and on a collective level coordinates the innumerable ingredients that form our consensus reality, or the predominant agreements that define what we mean by “reality.” Saturn has a palpable impact on our lives by transit, and we can immediately feel the impact following its ingress into a new sign through personal experiences and collective events. For example, both the massacre at the Charlie Hebdo satirical Parisian newspaper that sparked the “Je suis Charlie” movement around freedom of expression, and the publicity surrounding the plan of Pope Francis to present an encyclical on climate change that will urge action are signs reflecting the shift of Saturn into Sagittarius. Yet to claim I know that these recent events are connected with Saturn shifting into Sagittarius from a tropical zodiac perspective brings up the potential shadow of Saturn in Sagittarius reflected by a rigid belief that “I know.” In the recent massacre in Paris, dogmatic religious beliefs led the perpetrators to believe that they “knew” that their violent terrorism was justified, just as in 1956 when Saturn was previously in Sagittarius the racist beliefs of White Southerners in the United States led them to believe that their violent terrorism against Black Southerners protesting for equal rights was justified. Cultivating a perspective that we “do not know” with Saturn in Sagittarius will help us open our mind to direct experience of the moment that is less conditioned by our previous beliefs and cultural understanding. 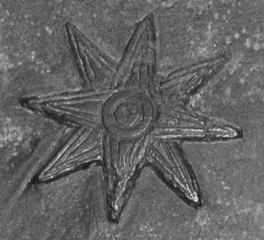 “Not knowing” also connects with how Carl Jung’s idea of archetypes has been integrated into astrology, in that although Jung saw archetypes as being archaic patterns connected to the farthest reaches of time, he also defined the concept of archetypes as a manifestation of archaic patterns that are forever changing. 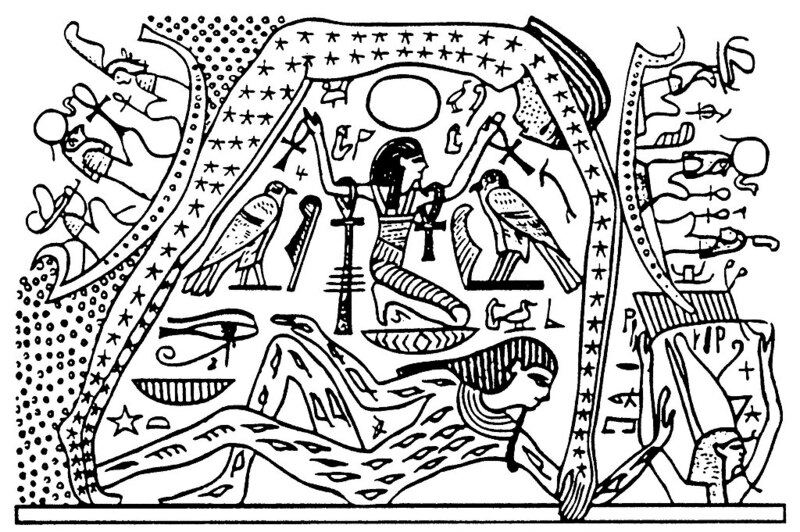 It is worth remembering that when Jung described the meaning of archetypes, he said that we can never actually consciously “know” them, we can only deduce their meaning as reflected in such things as stories, symbols, and images. Astrology or any other methodology of belief we utilize to help us navigate our reality can lead us astray when what we believe we know becomes so crystallized that our fixation on our own perspective causes us to be in denial of our actual reality. While this is one potential pitfall of Saturn in Sagittarius, at the same time Saturn in Sagittarius brings the potential to deepen our understanding of reality through focused exploration of a belief system, practice, or subject matter. Bearing in mind that our current transit of Saturn through Sagittarius is within a different astrological climate and collective milieu than previous Saturn in Sagittarius transits, we can draw upon archetypal understanding of Sagittarius to give us a perspective upon potential matters Saturn will concretize in our life. 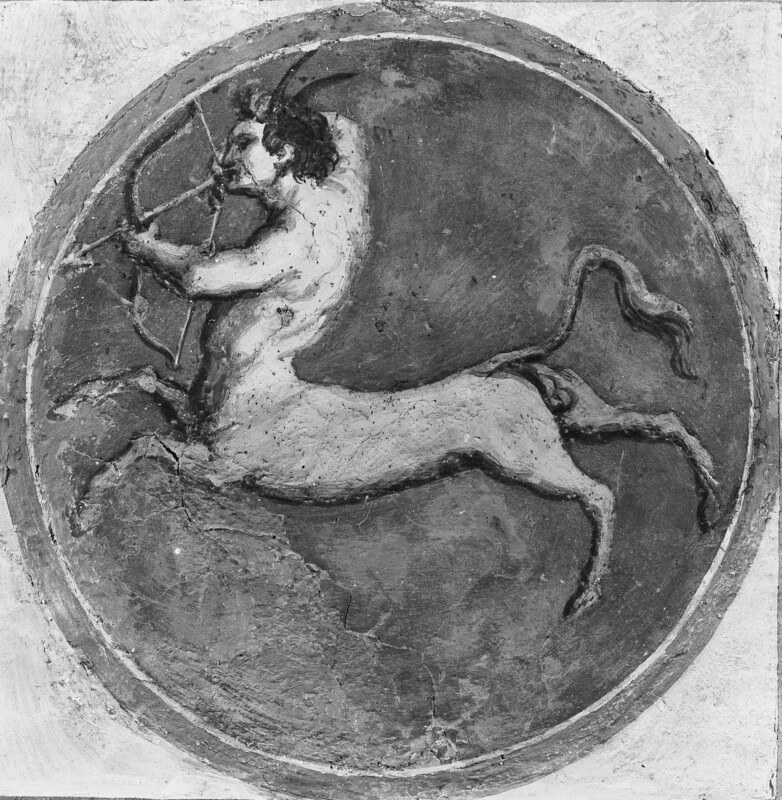 The two most common images associated with Sagittarius are the Archer and the Centaur, and both cast their shadow over astrological analysis of Saturn’s time in this mutable fire sign. The archer embodies the active, focused, and disciplined side of Sagittarius, as we will be called upon to take action on our visions that arose to our awareness during Saturn’s time in Scorpio. To be successful we will need to apply the determined concentration of an archer keyed into a target, and in Sagittarius we will want this goal to be deeply resonant with the purpose and meaning we are currently finding in our life experience. 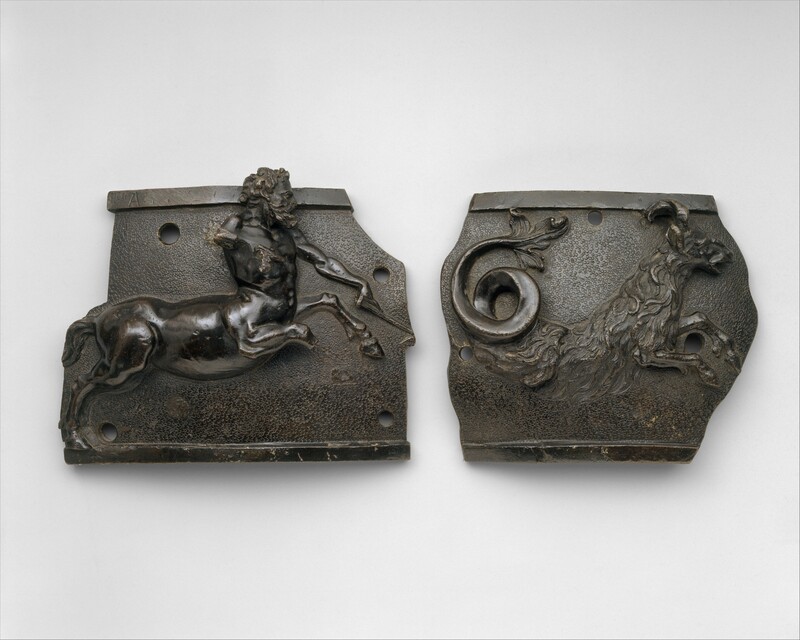 In the centaur we find unity beyond the duality of animalistic instincts and human rationalism, and connection with Creation and Nature. 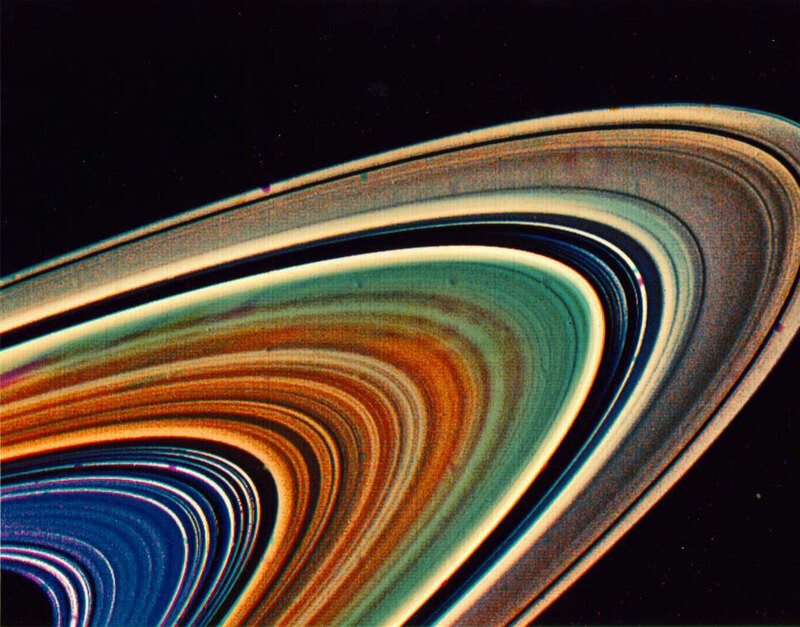 As a result Saturn’s transit through Sagittarius is timely in addressing collective crises involving the quality of life in our water, in our air, and in the plants, animals, and life inhabiting our Earth. In the figure of the evolved centaur Chiron, we find union with the medicine of creation and everything in our surroundings. Chiron cultivated wholistic practices to create greater energetic balance, such as herbalism, astrology, meditation, and the martial arts. During Saturn’s time in Sagittarius, we will have an opportunity to sharpen our skills and knowledge in daily practice, study, or exploration of a structured belief system that brings us greater understanding into not only the nature of our reality, but into our daily action and movement. We also may come into conflict with others studying the same general subjects of focus from a different perspective of belief, especially in fields such as Astrology, Economics, Politics, and Religion that have a high level of theoretical underpinnings. Ideally, by keeping an open mind in our dialogues with others, instead of defensively debating without listening to the other perspective, we can gain a sharper focus into the depths under sourcing our beliefs through cultivating thoughtful conversations with people holding vastly different perspectives. The Guru is another strong association we have with Sagittarius, and Chiron was the guru of not only the centaurs, but countless humans who came to him at a pivotal stage of their hero’s journey. When learning from guru sources, whether in an actual person or in a body of knowledge, we will want to remain rooted in our direct experience instead of over-consumed by the experience of the guru source. The more we ground our learning into our daily life, we will glean the message most essential for us on a personal level, and this message then will become something we can offer to others in our community. Yet, remembering the shadow side of Sagittarius, there is also the potential to become self-absorbed when digesting profound belief systems, with the danger of becoming so narcissistic in our integration of knowledge that we begin to unleash dogmatic diatribes or self-righteous preaching to others in our environment. Ambition can overcome us in Sagittarius through overconsumption with desires for personal recognition, burning desire for whatever we desire, with self-centered awareness of the impact of personal action on others in the surrounding environment. Unfortunately, where dogmatism and violent extremist behavior intersect, Saturn in Sagittarius will bring us face to face with with explosive traumatic events in the collective propagated by terrorists as well as heads of state. Saturn in Sagittarius will test our personal truth, bringing experiences that will challenge whether or not the vision we believe embodies our authenticity is taking us on a journey for a holy grail or a false grail. The self-absorbed side of Sagittarius can also lead us to become encaved in isolation while taking in new forms of knowledge that bring us a satisfying sense that we are undergoing a significant process of individuation, and yet at the same time a realization that we have become detached from our surrounding community. The polarity of Gemini to Sagittarius brings a movement to communicate the visionary Sagittarian ideas back into our collective, with a Mercurial sense of how to express our new insights in a medium of expression that can be understood by others, bridging our new vision with the prevailing one. As easy as it is to write this or read this in a sentence, it is much more challenging to put into practice, and each lunar month this dynamic of Saturn in Sagittarius will be triggered by the Moon passing through the opposite degree of Gemini, as well as in April – June 2015 when Venus, Mars, Mercury, and the Sun pass through Gemini in opposition to Saturn in Sagittarius. The mutable and expansive nature of Sagittarius is vital to comprehend when discerning how the current transit of Saturn in Sagittarius fits inside a different astrological context than past transits. Saturn in Sagittarius has already entered a square aspect with Neptune in Pisces, and will eventually also move into a square aspect with Chiron in Pisces: both of these are last quarter squares signifying as Dane Rudhyar taught, a crisis in consciousness. Jupiter will also become mutable in 2015 when it enters Virgo, eventually leading to a last quarter square between Jupiter in Virgo and Saturn in Sagittarius. As the lunar nodes will also shift in 2015 into the South Node of the Moon occupying Pisces, and the North Node of the Moon occupying Virgo, the ingress of Saturn into Sagittarius marks the beginning of a new transitionary time of mutability that could feel chaotic at times within the falling apart of the familiar. A Sagittarius Saturn in square to a Pisces Neptune initiates our entrance into this mutable time portal of decomposition that could lead to disillusionment, and many astrologers feel this intense Saturn-Neptune aspect could encase a sobering, leadening restraint around our personal dreams. There remains potential within this aspect to build and structure significant steps along a path leading to our cherished vision, but in general this will be a time of gaining deeper awareness into the meaning behind our vision. The last quarter square, the phase that Saturn in Sagittarius will experience with Neptune in Pisces, Chiron in Pisces, and Jupiter in Virgo, is a crisis of thought in which our old beliefs are called into question as we realize our old values and life structures no longer align with our evolving consciousness. While this can be a time of deconstruction, destructuring, and deconditioning, we can also realize what aspects of our old belief and value system holds authentic truth to sustain as a point of focus. 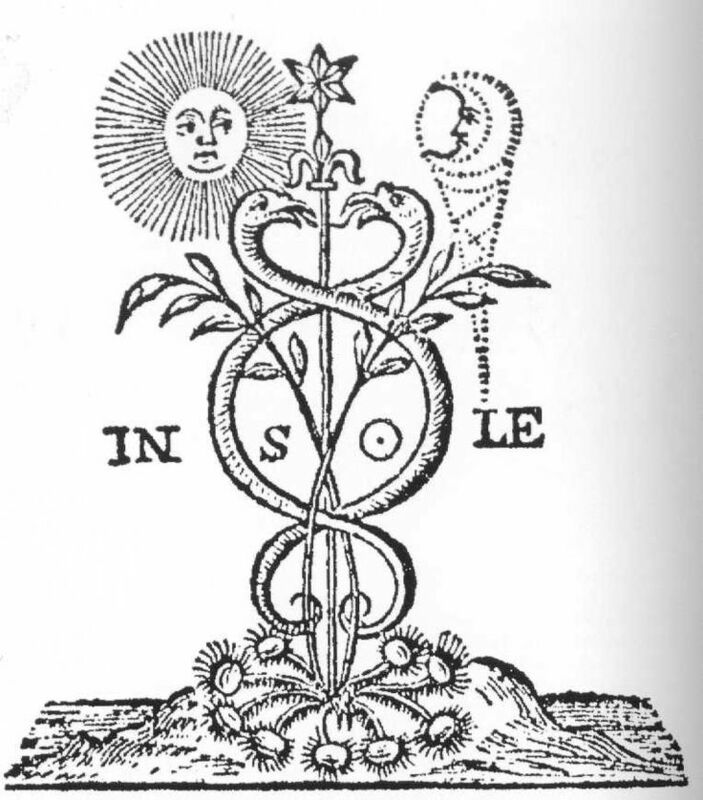 Saturn will move back into Scorpio during the Summer of the Northern Hemisphere and Winter of the Southern Hemisphere, and ideally this will re-connect us with one of the most important themes of Saturn in Scorpio: honesty. Sagittarius can have issues with dishonesty, and so we can keep in mind that one of the best remedies to help keep us honest is a staunch commitment to utilizing self-reflection to avoid being in denial. Since Saturn in Sagittarius is a mutable fire sign, it will prod us into being actively engaged with the obstacles and challenges associated with the first quarter square between Pluto in Capricorn and Uranus in Aries, and all the deep shattering of personal and societal systems that have come with it. In March 2015, Saturn in Sagittarius will station retrograde within a week of the final of the seven squares between Pluto and Uranus, after which we will finally move beyond the demarcation of their first quarter square. Saturn asks us to be accountable for our choices that align with our goals, and while Sagittarius is an ambitious sign of determination, it’s mutable nature will allow our vision to shift in accordance with the manner in which our sense of personal truth evolves in the face of coming experiences. The inherent quality of our vision, and whether it is essentially about our own self-interest or serves the true needs of our surroundings, is key. The fiery nature of Sagittarius brings a more inspirational, courageous, and creative initiative to Saturn, yet this same quality has the negative potential of selfishness, opportunism, and a lack of awareness of how our actions impact others. Remembering the sextile between Sagittarius with Aquarius and Libra, it will be helpful to utilize objectifying self-reflection to be present with how well we are listening to the needs of our many relationships and how well we are responding. The meaning of Saturn’s transit in Sagittarius changes generationally, yet there is a common thread through differing cosmic climates as can be seen in a list of famous individuals born at different times with Saturn in Sagittarius: pop stars Madonna and Lady Gaga, civil rights leaders Mahatma Gandhi and Dr. Martin Luther King, the shadowy Osama Bin Laden and Heinrich Himmler (leading figure of Nazi Germany), and bringers of light Anne Frank and Teresa of Avila. Charles Darwin, a man whose theoretical scientific research helped to fundamentally change the way the general human populace views reality, was also born with a Saturn in Sagittarius conjunct Neptune in Sagittarius and his Ascendant in Sagittarius. One theme of Saturn’s time in Sagittarius that will be strong in the coming years will be the connection of Sagittarius with personal truth and law, in particular the interplay between natural law and human-made law. There was a compelling synchronicity that as Saturn entered Sagittarius this past month it was conjunct the Themis asteroid #24, as Themis is a daughter of Gaia and the Titaness of natural law, divine order, justice, and custom. One battleground we will obviously see debates raging over law, legislation, and our natural environment will be climate change, and so it is fascinating that at the same time that Saturn entered Sagittarius it became widely publicized that Pope Francis would be forthcoming with an encyclical urging action that would be distributed throughout the global Catholic network of priests. Pope Francis is an insightful figure to think about in connection with our current transit of Saturn in Sagittarius, and indeed he was born with his Sun conjunct the North Node of the Moon in Sagittarius. While he inherently takes the role as a leader of a dogmatic religion into every environment he enters, he also has evolved the vision underlying the way in which his papal role interacts on the global stage. First and foremost, he is our first Pope Francis, evoking the figure of Saint Francis who was an instrument of Spirit on behalf of the poor, the outcast, and the natural world. Saint Francis never took vows of chastity or demanded conformity to all of the regulated rules of the Christian Church, and also was open to women taking on equal roles of spiritual authority. Saint Francis lived a life of poverty and only asked to love Nature and for each to love and know God according to their own capacity. 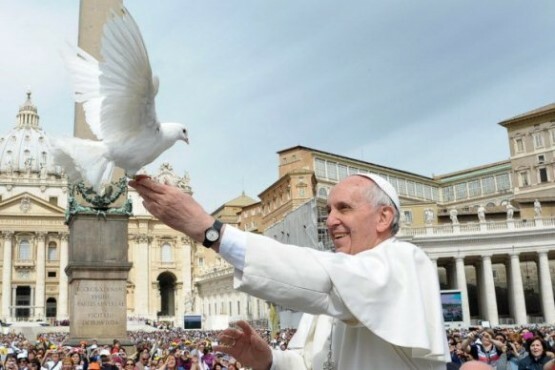 The choice of Pope Francis to actively encourage action on climate change evokes the love of Saint Francis for creation, and is a use of his spiritual authority on behalf of nature and humanity. Pope Francis has also re-focused the attention of the papacy on people living in poverty around the world, and he has made a constant effort to put humans first from a perspective that humans are part of creation and are not meant to be instruments of some industrial machine. In a Christmas speech he criticized the existential schizophrenia of a Vatican he sees as being filled with gossip and rivalry, with priests hiding behind papers as part of a mechanism instead of opening up with human sensitivity to others. Pope Francis was also instrumental in the process of President Obama opening up diplomatic relations between the United States and Cuba, and he also seems to be intent on breaking through places of crystallized, dogmatic separation between world leaders. One of Saturn’s three trips through Sagittarius in the 20th Century was between the years of 1956 to 1958, and at this time another leader who became the voice of those oppressed and in poverty arose in prominence, Dr. Martin Luther King. Martin Luther King was born with a Saturn in Sagittarius and experienced an extraordinary Saturn return that began during the Montgomery Bus Boycotts, leading to his home being burned down by Southern racists at the end of January 1956 with Saturn at the early degrees of Sagittarius. When Rosa Parks refused to give up her seat on the bus, sparking the extraordinary Montgomery Bus Boycotts, Saturn was at the end of its transit of Scorpio. There is some resonance here with our own recent time of Saturn closing out a transit of Scorpio, with a number of protest movements arising around issues of oppression. What made the Montgomery Bus Boycotts so incredible was the amount of collective commitment and creative strategizing that was employed to shut down the system. The year of 1956 when Saturn entered Sagittarius around January 13 has some similarities with Saturn’s transit in 2015, as just like this year Saturn stationed retrograde in March 1956 and then moved back into Scorpio again for a few months. During Saturn’s initial time in Sagittarius the Montgomery activists faced a strong pushback from the legal system, including Martin Luther King being ordered to pay a fine or serve time in jail around the time Saturn stationed in March. 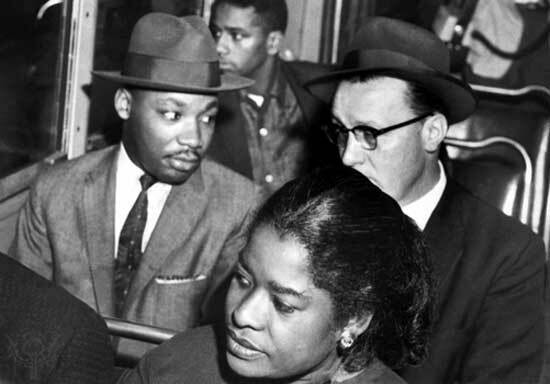 King’s decision to serve time in jail helped propel the movement further through media coverage, and by November 1956 when Saturn had returned again to Sagittarius the Supreme Court outlawed segregation on bus lines. If we are arrested every day, if we are exploited every day, if we are trampled over every day, don’t ever let anyone pull you so low as to hate them. We must use the weapon of love. We must have compassion and understanding for those who hate us. We must realize so many people are taught to hate us that they are not totally responsible for their hate. But we stand in life at midnight, we are always on the threshold of a new dawn. A further interesting connection with the figure and life of Martin Luther King and the upcoming mutable astrology time period is that Dr. King had a mutable t-square in his chart, with Mars in Gemini (2nd House) opposite Saturn in Sagittarius (8th House) with both in square to the Moon in Pisces (11th House). Martin Luther King was able to use this intense mutable aspect in his chart to be a powerful storyteller and speaker who could communicate a message embodying deep meaning while being understood by a wide populace. In our current upcoming transit, we can all learn from King’s ability to take decisive action when the time calls for action, and to communicate a heart-centered message of love while creating opportunities for discussion on societal issues that need to be addressed and not covered up or ignored. However, collectively the most major shift that occurred during this time was in Eastern Europe as the movements that led to widespread revolution in the region and later epochal events such as the fall of the Berlin Wall and the Velvet Revolution in the Czech Republic took place. While these later events occurred during Saturn’s transit of Capricorn, there were pivotal developments that made them possible during the transit of Saturn in Sagittarius such as Perestroika in the Soviet Union. For example in Poland, a country that used the political innovation of “Round Table agreements” to facilitate a democracy that would give them greater independence, there were a series of crucial strikes that happened in 1988 with Saturn in Sagittarius that were essential. Similarly, our current transit of Sagittarius will bring opportunities for collective movements that could lead to huge structural and systematic changes in four or five years. Saturn in Sagittarius is currently in a balsamic phase with Pluto in Capricorn, and so we are in a time of clearing, re-seeding, and re-visioning in their cycle until the beginning of 2020 when Saturn becomes conjunct Pluto at 23 degrees of Capricorn. Jupiter will also be in Capricorn in 2020, and around the Capricorn Solstice on December 21, 2020, the next conjunction in the Saturn and Jupiter cycle will occur at 00º29′ Aquarius. As a result Saturn’s transit through Sagittarius is a key transition to this incredibly important 2020 time period. 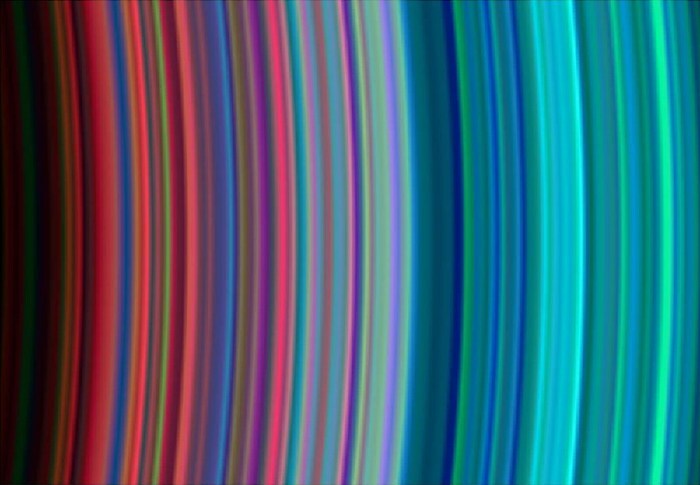 However, let’s not forget Uranus, the next planet beyond Saturn and important player in Saturn’s transit through Sagittarius. Saturn in Sagittarius will form a trine with Uranus in Aries in 2016, and in 2015 Jupiter in Leo will be trine to Uranus in Aries on March 3 and on June 22. As a result in the next six months the Jupiter and Uranus cycle can help us unlock the Saturn gates of our consciousness to more expansive perspectives, and then later in August 2015 when we hit the last quarter square between Jupiter in Leo and a stationing direct Saturn in Scorpio, we will face challenges and even crises forcing us to critically examine what in our life needs to be discarded and let go and what is essential to keep as we begin to focus on what we will utilize in seeding our future. This is great, Gray – so well-researched and painstakingly assembled, but somehow, in a non-Saturnian way at all, it conveys a message of lucidity and lightness. I have been thinking a lot about the transition from Scorpio into Sagittarius – I feel it is like maybe the Death card or the ten of swords card – the ultimate wipe-out; or like a scorpion sting that comes unexpectedly when you thought that the worst was over. I think we are at a very sensitive point in time right now. Thank you for your compliments on my writing, Monika. My own subjective “knowing” would without much thought link XIII Death with Saturn in Scorpio more, but it is true we are only entering Saturn in Sagittarius for half a year before going back into Scorpio again. I would not have thought of linking Death or the 10 of Swords with this transition we are in, but in combination with the Pluto and Uranus square this makes a lot of sense to me the more I think about it. Ditto to what Monika says. Being an absolute novice in all things astrological, I just now looked at my chart and see that my natal Saturn is indeed in Sagittarius, in the first house, nearing the cusp of the 2nd. So technically, this is a Saturn return for me? I was born in 1958. The years that you mention, 1986-88, were quite volatile for me, culminating in leaving my first marriage, and ultimately leading to a move 3,000 miles across the US from NY to Portland in 1991. Anyway, I am still at a point where I am trying to understand what astrological “weather” is saying to me, or to anyone. I can’t not be interested because chart readings I have had make so much sense to me as descriptive qualities of my nature. Thank you for the time and detail you put into these postings! Fascinating, Debra! Yes you are now entering your second Saturn return, and this is considered to be one of the great transits of your life. It is known as a time to move beyond the past limitation and/or karma you have faced into finally releasing yourself and stepping more into your full potential. At least this is what I have heard others say about this time, being many years away from it myself. The first Saturn return is always pivotal, and often if we are not on track with our lives we choose to move or get moved into certain directions that ultimately help us find our path. Sounds like this is what you went through. Considering all of the deep exploratory writing you do about yourself on your blog, it makes sense to me that you have a Saturn in Sagittarius as well as that you are coming into your second Saturn return. In combination with your studies this could be really powerful for you with the potential to integrate more of your learning into how you live your daily life. Spot on Gray! The first Saturn return was all about dealing with the muck that I came into the world with, along with the accumulation of other unwanted baggage. I did a lot of necessary work to move on from some very self-destructive patterns. That period, although painful and intense, has been freeing me more and more as life goes on. WIthout feeling any sense of where this Saturn return is taking me, I can only say that I feel a systemic shake up. It has a very different feel from 28 years ago, but who knows what may lie ahead? I try to stay open and keep love alive. Thank you for commenting. Yes, I think this is an issue that can come up with Saturn in Sagittarius though of course it is always an issue we can all face. Wow. Okay, I get the collective stuff, and it’s a welcome change. As far as the personal, with a Sag rising but with an almost completely right-brain orientation, I also welcome the “I know” part, because with Saturn in Sag, it can help some of the formless solidify into form. Thanks for the post! Aloha. Thank you for commenting again! Yes, I agree that drawing from our intuition in that knowing sort of Sagittarius way can be extremely powerful and helpful. I am a Gemini rising, Gemini Moon, and Gemini South Node of the Moon, and so getting in touch with my Sagittarius side has also been important for me. Recently, however, I have also been realizing the great strength of Gemini to counter-balance what at times can be a pretty self-centered knowing side of Sagittarius. ah, this is a wonderful *long view* on the transits of the times. much appreciate the weaving together of the archetypes and the gentle insistence that we see with the bird’s eye view – for our own best hero’s journey. bravo! Thank you very much. Yes a “bird’s eye view” is what I was hoping people could pick up somewhat through my writing here, so I am very happy to hear these words from you. Also a “hero’s journey” goes very well with this Saturn in Sagittarius transit, like you say. What can I say beyond “Wow”. It’s exactly what I needed to hear at this time. I have been taking notes from your “reading” for more than an hour. Astrology, the study or science of, has been elevated to a new level in my mind. Tarot, Kabbalah, and I Ching were highly respected sources of insight to me. Perhaps being a Sagittarian has developed my intuition more than complex structures of thought, but you obviously have spent lifetimes developing your insight, awareness, understanding and skill in all things astrological. I loved learning about the polarity or Sag with Gemini, and the sharing of insights with the rationalistic nature of Gemini people. My dearest friend, who seems a world away in terms of spirituality, serves so well as a sounding board and a reality check to my vision of grass-roots spiritual philosophy. That you so much for this high-level and affordable lesson in astrology. Thank you, Jean. I did spend time thinking about this and tried to distill it down into something not too long- there is certainly a lot more to say about Saturn in Sagittarius than what is contained here, but I was hoping to help spark thought about it’s potential meaning. I am very happy to hear that my writing has helped your thought process in some way. I also practice Tarot, and have only begun to explore I Ching but each time I do the I Ching amazes me. The Tree of Life concept in Kabbalah has also been a source of wonderment for me. Thank you for your comment and compliments! Wonderful article. Thank-you. As someone who has been fashioned by Saturn traversing my 12th house for the last few years and soon to enter my first, I hope I am readied to learn more from him. Monika what you say has a wonderful synchronicity with what I experienced yesterday with moon in Scorpio and “tail” end of Saturn only a couple of hours before moving into Sag. close to Mercury retrograding. I should say that living in the Australian bush with much wildlife, I have a habit of so often experiencing planetary symbolism very literally almost on a daily basis. I was just thinking around that shift that the 1st day of Saturn’s entrance into Scorpio I experienced the death of my favourite bird friend in my hands. The last day of Saturn in Scorpio saw me putting on my gardening gloves on a beautiful Spring day to do some gardening and I experienced a sharp sting on my left, [Mercury] finger. On shaking out the glove, a baby 1cm long angry scorpion emerged! It stung all day. Wow, that is stunning symbolism and my condolences for your bird friend. I was just looking back at Monika’s comment and I understand it better now as I feel she is very accurate in terms of the feelings leaving Scorpio, being at the end of Saturn in Scorpio. Especially this last passage of few weeks with Saturn leaving Scorpio with finality for the next 28 or so years. Perhaps this feeling lingers for a time as we begin to settle into Sagittarius- right now it is a very liminal period being in between eclipses and now under the influence of Mercury retrograde as well. This indeed sounds like a monumental transition for you with Saturn entering your first house!